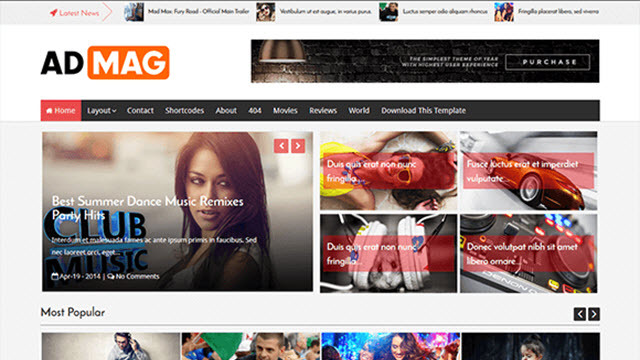 Description: Ad Mag Blogger Templates is a simply, elegant & modern Blogger Theme. Elegantly showcase your articles, photos, videos and more. Ad Mag Blogger Template is crafted with high attention to details. This premium theme provides top quality design that suits any purpose. Can be used for blog, magazine, news or fashion website.